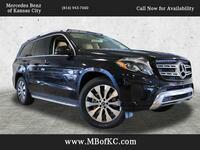 Luxury shoppers in the market for an elite three-row crossover want comfort, capability, and impressive interior space. Each of the models in this 2017 Mercedes-Benz GLS vs Acura MDX vs Lexus LX comparison can deliver an elite driving experience, but which one is ideal for busy families and individuals? 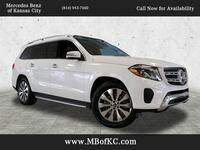 Both the 2017 Mercedes-Benz GLS and the 2017 Acura MDX offer comfortable seating for up to seven passengers, while the 2017 Lexus LX offers up to eight seats. 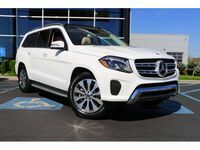 However, owners looking for an attractive combination of passenger space and cargo space may be attracted to the 93.8 cubic feet of cargo space available on the 2017 Mercedes-Benz GLS with the second and third row of seats folded down. In contrast, the Acura and Lexus models offer just 90.9 cubic feet and 83.1 cubic feet respectively. All-wheel drive is standard in each of these three-row crossovers, and comfort features like automatic climate control, a sunroof, and advanced infotainment systems also come standard. 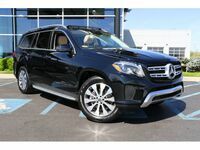 Another advantage that the 2017 Mercedes-Benz GLS brings to this comparison is its standard and available engine options. The 2017 Acura MXD is available in three trim levels, but all of them come with a 3.5-liter V-6 engine rated for 290 horsepower and 267 pound-feet of torque. While this is a very respectable engine, it still offers the lowest power output in this 2017 Mercedes-Benz GLS vs Acura MDX vs Lexus LX comparison. The 2017 Lexus LX is available only in the 540 trim level (with some available packages and add-on features) and a single engine option (a 5.7-liter V-8 rated for 383 horsepower and 403 pound-feet of torque). 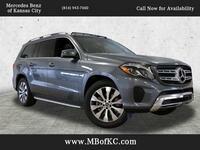 In contrast to both of the other luxury crossovers in this comparison, the 2017 Mercedes-Benz GLS is available in four models. While the base engine on the 2017 Mercedes-Benz GLS 450 slots between the Acura and Lexus models in this comparison, the 4.6-liter V-8 on the 2017 GLS 550 offers a breathtaking 449 horsepower and 516 pound-feet of torque. 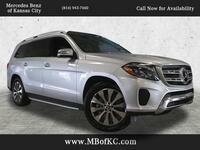 A diesel engine option and a super-powered AMG® model are also available. 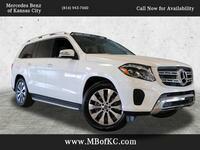 We like the space and engine options available in the 2017 Mercedes-Benz GLS. 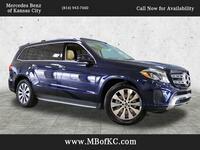 To learn more about this attractive three-row crossover, or this comparison, contact a member of the Mercedes-Benz of Kansas City sales team today.